#FinisherFriday: Don't Drag Me Down! - Smark Henry | The voice of Filipino wrestling fans | Philippine Wrestling Revolution, WWE, and more #FinisherFriday: Don't Drag Me Down! #FinisherFriday: Don't Drag Me Down! Welcome to another edition of #FinisherFriday! This is Wreddit_Regal, stepping in to bring you an analysis of one of the art's bread-and-butter maneuvers. Any aspiring wrestler who enters a wrestling school will be taught the basic moves of the art: taking a bump (slamming the back against the canvas without receiving a lot of damage), running and bouncing against the ropes, punches, kicks, basic holds, and one ungodly move that can severely debilitate an opponent if done correctly. Unfortunately, this move has been relegated nowadays to a "set-up move" because of its seemingly theatric nature. The move in question is the arm drag. From a clinch or a running opponent, the performer uses his left hand to secure the opponent's right forearm or wrist. The performer's right arm goes under the opponent's armpit, to his elbow level, and secures the hold. The performer twists his hips to the right, and puts his right foot to the left side, in front of his left foot. From this position, the performer twists his upper body to the left, dragging the opponent's arm and body in the process. Most of the time, the opponent seemingly helps the performer with the dragging, and flips on their own. But does the opponent really help the performer in this maneuver? Not really. The arm drag's main focus of damage is the shoulder, a sturdy but also delicate part of the body. Surrounding the actual joint is the shoulder capsule, consisting of tendons which make sure that the head of the humerus stays in place. And then you have the rotator cuff muscles, which surround the shoulder capsule, enabling movement of the shoulder as a whole. The arm drag is a maneuver that is to be done swiftly and forcefully, while giving no time for the opponent to react or make any countering moves. Since the opponent is spun and thrown down, with the performer still securing the victim's arm throughout the whole process, the entirety of the shoulder is subjected to intense trauma on a very small margin of rotation. 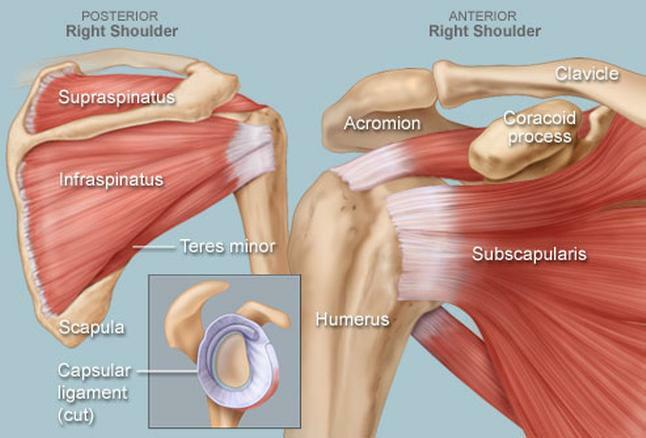 If done in a textbook-perfect fashion, the shoulder capsule could be ruptured, and rotator cuff muscle tears may occur. This is why many wrestlers who receive an arm drag flip by themselves. Flipping in advance before the performer can secure the whole arm prevents the whole body from spinning on one fixed fulcrum, greatly mitigating the damage to the shoulder. Having an arm unsecured and an advanced flip means that the performer cannot add more velocity to the victim already flipping, putting the performers' efforts in vain—at least if the intent is to cause legitimate harm to their opponent, which isn't the case in an industry that puts a value on keeping both performers safe all throughout the match. So there you have it, the arm drag deconstructed. This generation of wrestlers have the best arm drags in the business, but whose arm drag should be considered as the GOAT? Let us know in the comment section below!